April quietly watched as the confrontation with Marsha and Jeff grew louder and more intense. How does April handle conflict? Some may say that April and other S styles do not handle conflict at all. Since harmony and stability are important to April, it’s likely that she will avoid confrontations at all costs. If the S style feels forced into a confrontation, they will give in easily and avoid revealing their true feelings. Their goal is to avoid hurting others and remove themselves from the situation as quickly and amicably as possible. Others may realize when April is not being honest about her feelings and feel hurt and untrusting of April. Some colleagues may stop asking for her opinion altogether. 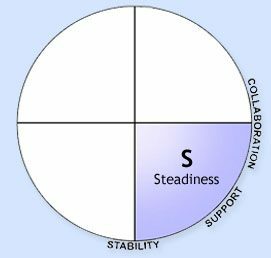 The S style may be seen as weak or cowardly if they continue to avoid expressing their opinions when with the group. Their team members may think they are afraid or uninterested in working with the group. What can April do to improve? April and other S styles are great listeners, consistent workers and can anchor a group during rough seas. The S style needs to display more self-confidence and feel comfortable revealing their true feelings. April can bring a lot to the table, but needs to be more involved in discussions if she wants to be noticed for her talent. Make decisions and be open about your ideas, and you can go a long way. This and the rest of these blogs have been developed using the Everything DiSC® Workplace profiles, group reports and facilitator’s kit. Join us for our next blog post in which we dive into the C style and how they handle conflict with others.